The Black Tent crew covering the Western & Southern Tennis Tournament. 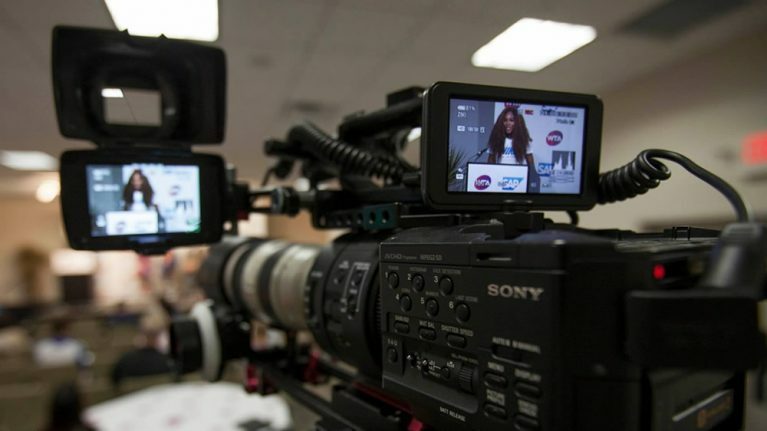 This photo is from Serena William’s press conference! Black Tent can provide camera crews to document your press conference, announcement or other public relations event. From a single camera interview set-up to a multi-camera live webcast and every need in between, a call to Black Tent will solve your video production needs. We are available for Cincinnati corporate video production, Dayton corporate video production, Lexington corporate video production, Louisville corporate video production and Indianapolis corporate video production. 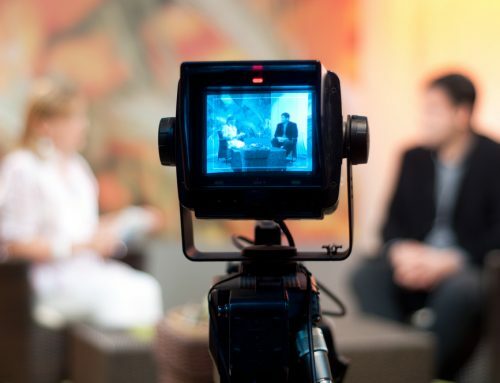 We frequently work with out-of-town producers who need Cincinnati video production services, Dayton video production services, Lexington video production services, Louisville video production services, and Indianapolis video production services. We can work as your local production company to record those last-minute video productions. We maintain accounts at local rental houses providing access to virtually any gear you may need for your production. Our experience in broadcast television helps to ensure you receive the best equipment, personnel and service for your corporate production at a competitive price. Black Tent is an award-winning television commercial production company based in Cincinnati, Ohio, offering creative development, video production, photography, and post-production services worldwide. Our clients include global brands, fortune 500 companies, agencies, small businesses, nonprofits, authors, education, government, marketing firms, and more. We have local market experts available in Cincinnati, Dayton, Lexington, Louisville, and Indianapolis; however, we work with clients nationwide. Click here to contact us today.